It won’t put much of a dent in the problematic aspects of the internet, but at least a reminder that it can still be that Wunderkammer, a cabinet of curiosities. This really makes you pause and think? reflect? Are any neurons clicking here? The Library of Congress Free to Use extension provides a way to explore historic images from digital collections that are free to use and reuse. The images displayed are either in the public domain, have no known copyright, or have been cleared by the copyright owner for public use. This is just a small sample of the Library of Congress digital collections that are free to use and reuse. The digital collections comprise millions of items including books, newspapers, manuscripts, prints and photos, maps, musical scores, films, sound recordings and more. Explore away! First reaction, way to show women at work! 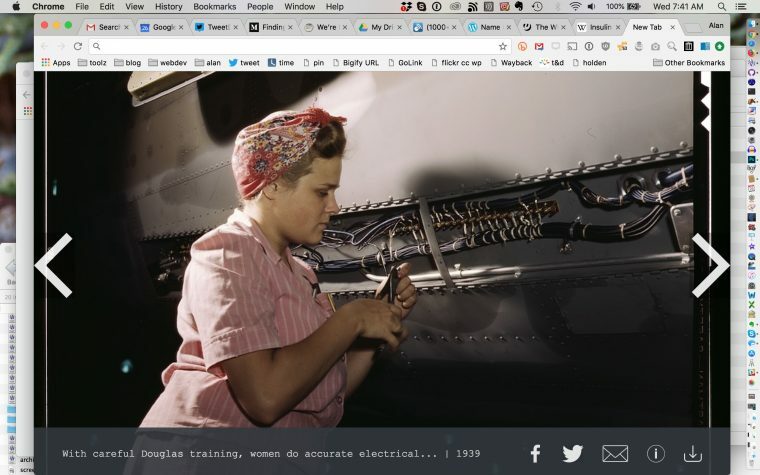 Then the caption makes me wince a bit- “With careful Douglas training, women do accurate electrical assembly and installation work, Douglas Aircraft Company, Long Beach, Calif” like women needed extra special training to do this work. Oh well. It’s a great image. You can click the caption to get more info from the LOC https://www.loc.gov/resource/fsac.1a35332 Do this first of you want to learn more – if you use the download button, you lose the screen! And you can use the arrow buttons for more exploring. Now some may see this as a bit of a distraction, that the real task at hand is to do something else. But having a constant reminder of public, open licensed historical images, even if I pay them little attention, just feels good. And it seems more useful than a blank white screen. Even to write this post, I opened a new tab, and got this image of the mysterious Petrova… who ever thought that opening a new browser window could turn into a writing prompt? 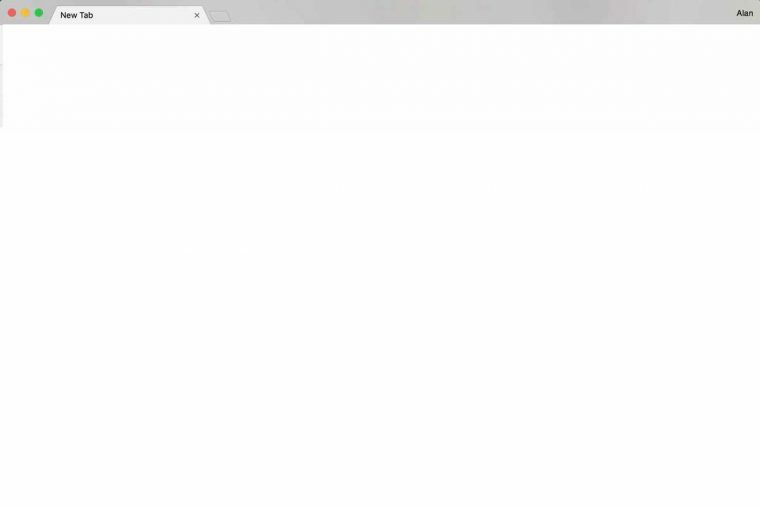 I love opening browser tabs because they are no longer blank. 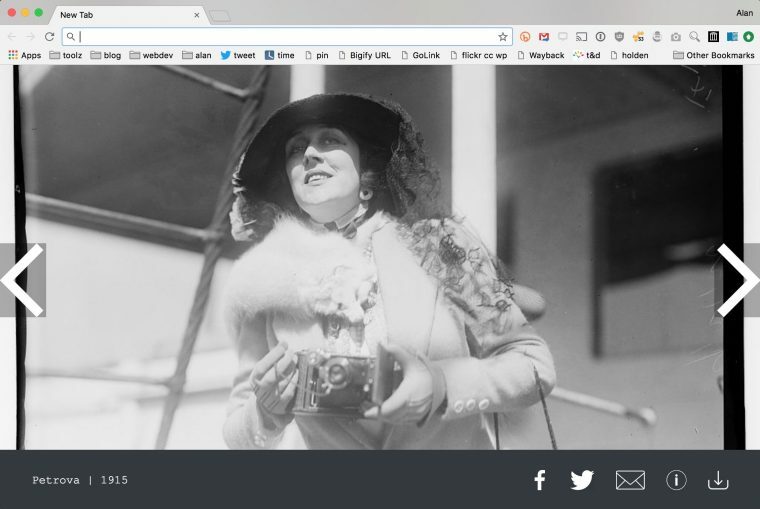 Featured Image: Screenshot of LOC Free to Use Browser extension displaying image of Petrova (1915) “Photograph shows British American actress Olga Petrova (1884-1977), who was also a screenwriter and playwright. She was born Muriel Harding.” no known copyright restrictions image from the Library of Congress.